Bernardita (Berni) Elizalde has been volunteering at ArtStarts for several months now and has already made a big impression on everyone here. Berni comes to ArtStarts with a wealth of skills and experience. She is graphic designer and studied photography in Chile and Argentina. She has worked as a freelance photographer for almost four years and also worked in an Art Gallery in Chile producing its monthly magazine called Arte al Límite. She also worked at the NGO Un Techo para Chile as the Manager of the Libraries and Culture National Network. Berni taking photos at ArtStarts' BC Arts and Culture Week event, A&C Playground. 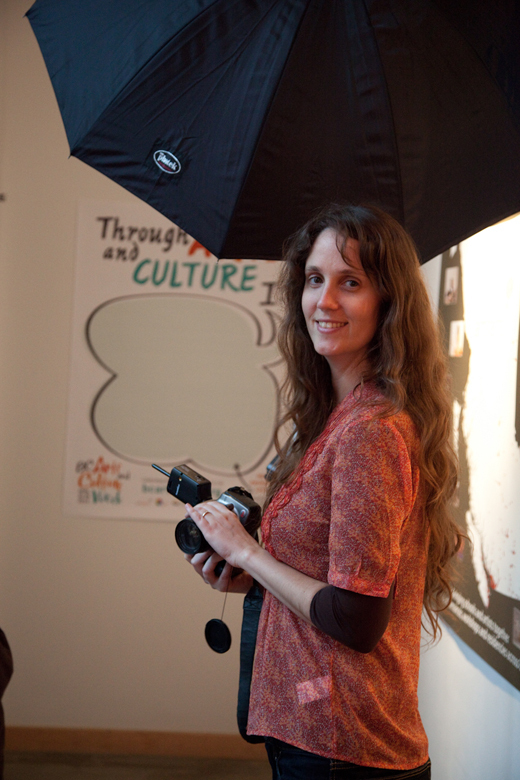 Berni has been a huge help at special events, such as the ArtStarts Showcase; at our BC Arts and Culture Week event, where she staffed the photobooth; and at our Volunteer Week event, for which she volunteered her time and design skills (yes, she even volunteers at volunteer events!) Berni's talents and warm personality make her a pleasure to work with. "I've really enjoyed volunteering at ArtStarts. From the very beginning the team made me feel at home. Having the chance to be creative in my work here makes me realize that I am truly contributing to the cause. ArtStarts is a wonderful project that combines education, creativity and social awareness, and it’s also a good opportunity to give back to the community, especially to young people, through a space to dream, create and learn in an entertaining and dynamic way." Berni and Volunteer Coordinator Juliana preparing delegate packages for Showcase. Berni thinks the arts help people learn in a fun way, understanding and getting to know more about other cultures from an open-minded perspective. Through the arts we are capable to appreciate the simple and beautiful things of life. She dreams about the arts being affordable to anyone and would like to see every person enjoying the arts. Berni, we like how you think! 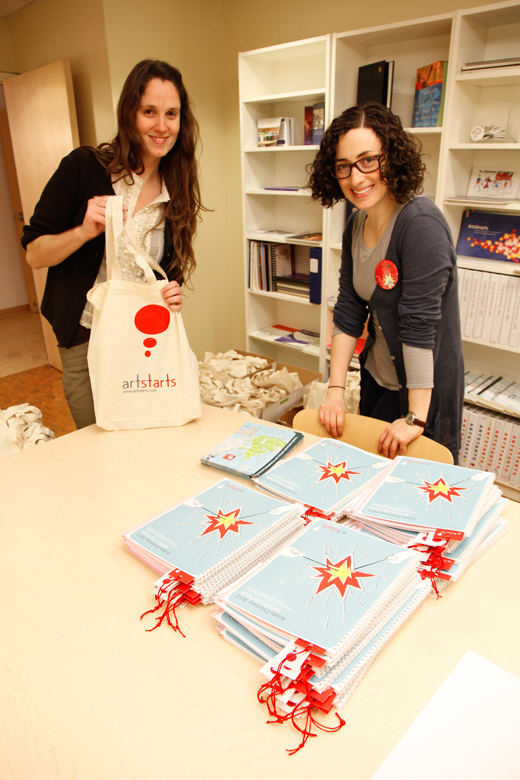 :) Thank you for volunteering at ArtStarts!